Kathy Downie is an artist who has been sewing all her life and over the years has evolved from a traditional seamstress into a surface design artist specializing in quilts and wearable art. 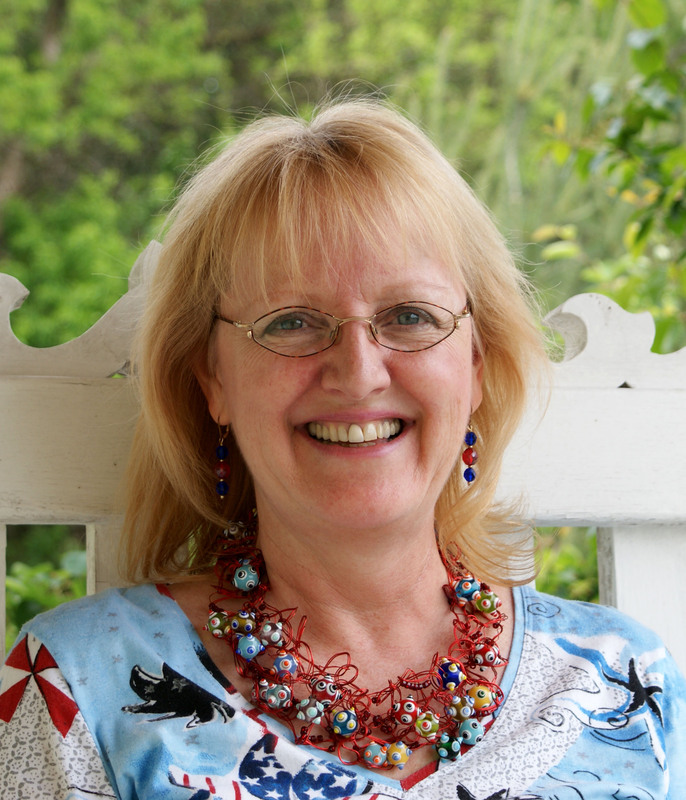 Kathy’s knowledge and excitement for her quilting and clothing construction are easily recognized in her lectures, trunk shows, workshops, and designs. Kathy found her passion for quilting in 1996 and since then she has taught and lectured about quilting and wearable art regionally. Her work appears regularly in juried shows across the country and has been exhibited nationally as well as internationally. Kathy is an electrical engineer, which she thinks aids in her ability to figure out new construction methods and the ability to explain new techniques in her wearable pattern line Downie Designs. Kathy’s work is noted for its textures, unique techniques and elegant quilting. Fabrics, thread, fibers, and the world around her inspire her art. Although she loves to work with all techniques, her favorite one is creating art using only one technique – elegant quilting. 2016 Milwaukee Art Quilters, AQS The Ultimate Guild Challenge, Grand Rapids, MI – 2nd Place. 2013 Surface Design Association, It’s Always Something Exhibit. 2013 Milwaukee Art Quilters, Inspired by Nancy Traveling Exhibit. 2012 Surface Design Association, Blind Eye Traveling Exhibit. 2011 MQX East – 2nd Place. 2010 Professional Art Quilters Alliance, Art & Science Traveling Exhibit. 2009 National Quilter’s Association – Honorable Mention in Traditional Category. 2008 Wearable Expressions, Palos Verdes Art Center, Ranchos Palos Verdes, CA. 2007 62nd Miami International Orchid Show, Miami FL. 2006 International Quilt Association Show, Houston, TX & Rosemont, IL. 2005 Heritage Quilters’ Guild of South Suburbia, South Holland, IL – Featured Artist. 2005 AQS/Hobbs Bonded Fiber Fashion Show, Paducah, KY.
2004 String-A-Long Quilt Guild Show, Valparaiso, IN – Featured Artist. 2004 Pacific International Quilt Show. 2004 AQS/Hobbs Bonded Fiber Fashion Show, Paducah, KY.
2003 International Quilt Association Show – Honorable Mention. 2003 Pacific International Quilt Show – Best Machine Craftsmanship. 2003 AQS/Hobbs Bonded Fiber Fashion Show – 2nd Place Professional. 2003 Northwest Suburban Quilters Guild Show, Hoffman Estates IL – Featured Artist. 2003 Country Quilters Society of McHenry Guild Show, McHenry, IL – Featured Artist. 2002 International Quilt Association Show – Honorable Mention. 2002 Minnesota Quilters Show – Honorable Mention. 2002 AQS/Hobbs Bonded Fiber Fashion Show – 1st Place Amateur. 2001 Mancuso Pacific International Quilt Festival – Best Machine Craftsmanship. 2001 Heritage Quilters Guild of South Suburbia – 1st Place in Clothing, 2nd Place & Vendors Choice in Quilt Category. 2001 North Suburban Quilt Show – 1st Place in Quilt, 2nd Place in Clothing. 2001 National Quilter’s Association – 3rd Place in Traditional Quilt Category. 2001 Minnesota Quilters Inc. – 3rd Place in Clothing Category. 2001 World Quilt & Textile on Tour, Lansing, MI & Greensboro, NC. 2001, 2002, 2003 Mid Atlantic Wearable Art Festival, Williamsburg, VA.
1998 Hoffman Challenge Traveling Show. Umbrellas: Open to New Ideas by Women’s Journeys in Fiber, contributing artwork – Fairie Land, 2015. Autumn Canopy Pattern, American Quilter, November 2009. Design Exploration for the Creative Quilter by Katie Pasquini Masopust, contributing artwork – The Passage of Time, Sept 2008. Self Portrait, Quilting Arts Magazine, Winter 2006. Eastern Emerald, Clotilde Catalog cover, Spring 2004. Trapunto & Silk, IQA Magazine, Fall 2003. Eastern Emerald, American Quilter, Fall 2003. Tropical Sunset, Clotilde Catalog cover, Fall 2003. Trapunto & Silk, American Quilter, Fall 2002. A Quilt Featured in Electric Quilt Dear Jane Quilt Design Software CD, The Electric Quilt Company, 2003.